Well, TECHNICALLY, Day 35 was the official end of our 5 Weeks of 5 Real Food Rules for our family of five. But, you know what? I’m having too damn good a time to just stop! it’s going to be too expensive! it’s going to be too time consuming! we won’t like what we’re eating! It was expensive to put about 50% of my existing pantry/fridge/freezer items into “storage” and buy only “Real Food” replacements (or the ingredients to make replacements). But if you don’t have a bee in your bonnet about starting a Real Food blog on a specific date (i.e, you are not crazy), you can take a more gradual approach. You can ease yourself and your family into a more conscious way of eating: start with no fast food, next switch over to only whole grain breads and pastas, then stop buying anything that lists sugar in the ingredients, then visit your farmer’s market that weekend, etc., etc. But in an upcoming blog post (in case you want to take the crazier route) I’ll tell you how we went cold-turkey and what happened to all that extra food. And, okay, organic or local or minimally processed items are often more expensive. (Maybe because the food industry giants would prefer that we eat cheap food — and lots of it? Hmmmm….) But, MUCH to my surprise — I do have three boys, after all — we are eating less food and our grocery budget it back on track. Real Food is just more filling, I guess. Look for an upcoming post with more anecdotes from our experiences and my further thoughts on that topic. YES, it was time consuming — at first. I had to learn to cook quite a bit of stuff I’d never made before. 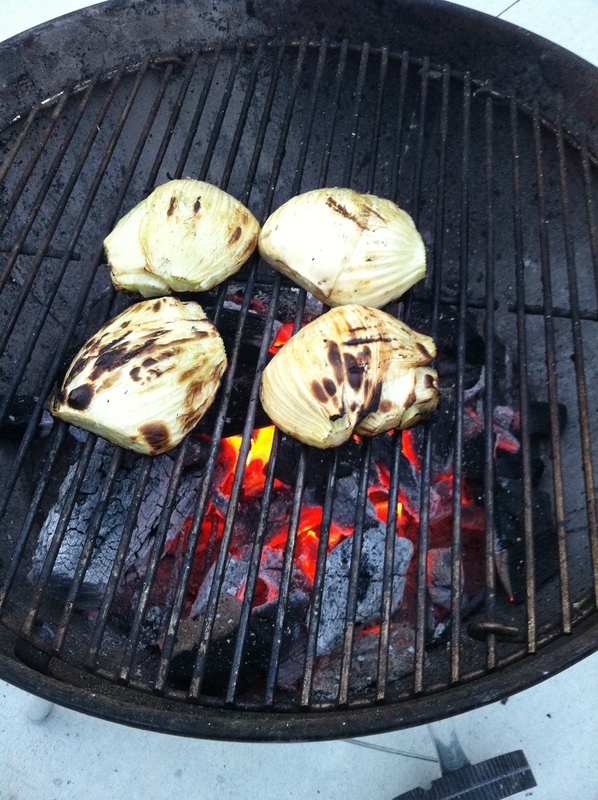 And — as I am sure the blog makes painfully obvious — I am far from a gourmet, or even particularly talented, cook! But I hope this blog shows that if you are interested in a more conscientious way of eating, you can do it with quite simple, yummy, family-pleasing foods. I’ve now got a store of go-to recipes that are generally pretty easy. I truly don’t think that I spend any more time cooking these days than I did back in April (and BIG BONUS, I feel a lot better about the quality of food I’m giving my kids). Look for an upcoming post with meal plans and snack ideas and links to my old (and hopefully lots of new) standby recipes. I also spent quite a bit of time the first couple of weeks in grocery stores: looking for new products, reading labels, comparing prices. Coming soon, I’ll completely grocery-store-geek-out on you with a post about how I manage the grocery stores trips, share my printable lists edited for each store, and give tips on where to find my favorite products at the best prices here in Fort Wayne! Did my family love everything I made for them? Well, um, no. But, I’ve been cooking for kids for 11 years now (and a bit of a food snob husband for almost 18) — I have pretty thick skin. You know, sometimes stuff just doesn’t taste like you’d hoped (or your picky child “develops” some never before mentioned taste aversion — “What do you mean you don’t like cream cheese? !”) But nobody ever went to bed hungry. And for my particularly emotive family, I’m just thrilled that there hasn’t even been any crying, yelling, or (more than usual) whining. I plan to revisit some of those failures and let you know if they ever turn into successes — or not. Even better, many of the new dishes are things that the kids love and get genuinely excited about when they hear that we’ll be having it for dinner (e.g. homemade pizzas). I’ll keep updating those recipes and adding any new favorites in future posts. I hope you’ll keep hanging out with realfoodfor5.com. Even better, like us on Facebook and get more updates about local events, shopping and restaurant experiences, and just general cool food news that I want to share. I learn more about the local scene every week and have a long, busy summer ahead of me of trying to keep the 5 of us well- and happily- fed! Keep coming back! In closing, a blog page always looks better with pictures, right? Here are some super yum veggie dishes we had recently! 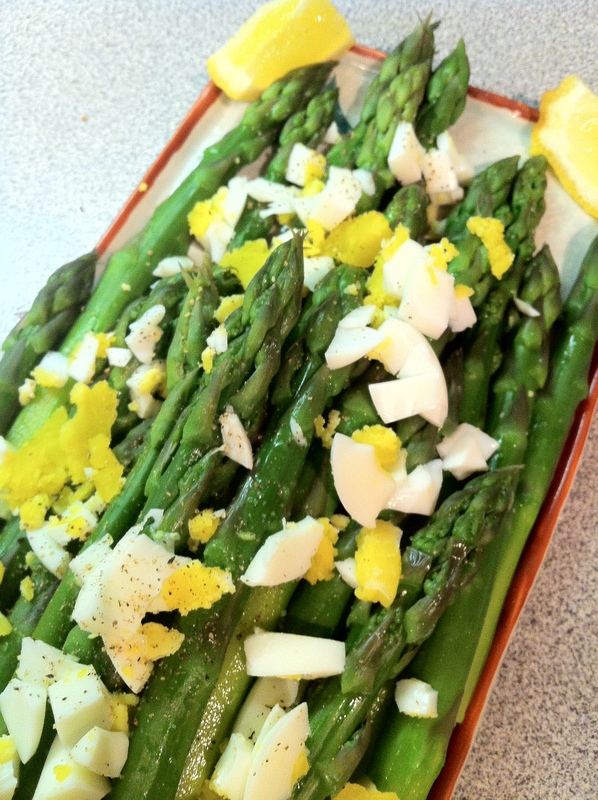 Local Yoder Farm asparagus: steamed; seasoned with lots of salt, pepper, and lemon juice; and topped with a chopped, hardboiled local egg. 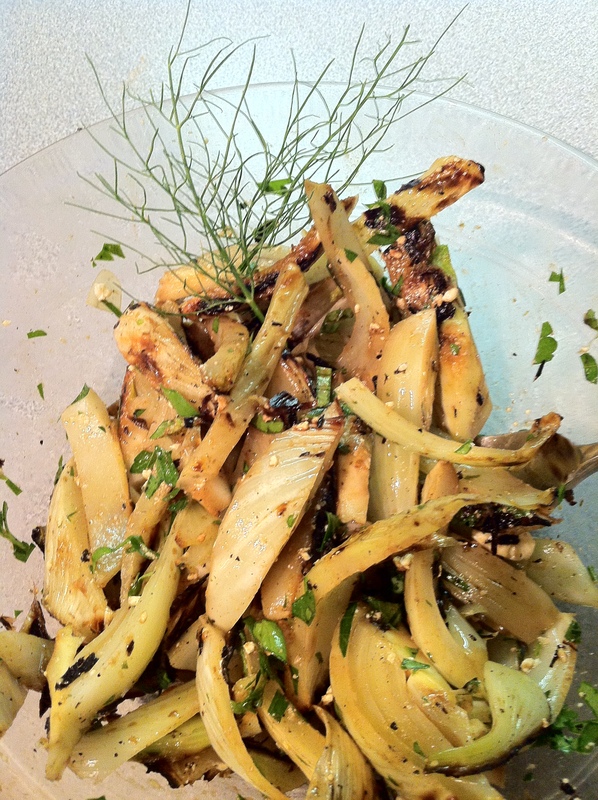 Two fennel bulbs, brushed with olive oil and grilled; cooled then thinly sliced and seasoned with salt & pepper, olive oil and a few sprinkles of balsamic vinegar; topped with parsley & dill from the herb garden and a handful of feta crumbles. The fennel salad was great!! !